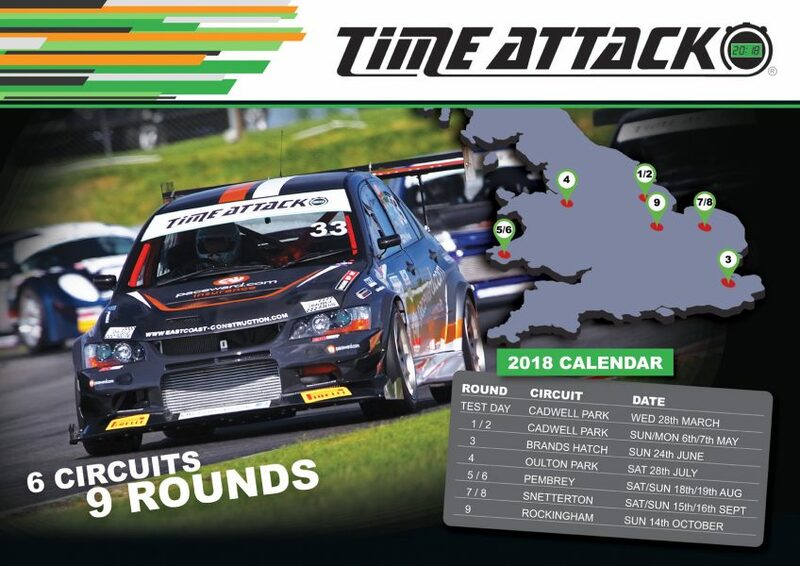 2018 Championship Calendar Announced - Time Attack® - It's not racing... It's Time Attack!! New for the forthcoming season is the inclusion of three – yes three – double-headers that will take place at Cadwell Park, Pembrey and Snetterton. This trio of two-round weekends has been added following the success of the double-header event held in 2017. Competitors are able to drop two rounds during the season. Therefore, points will be calculated from the best seven scores. In true Time Attack tradition, we will host a series of spectacular car shows that will accompany and compliment the all-day action on the track at some of our rounds; the mixture of high-speed competition combined with entertainment, trade stands and car club displays making these events a mecca for motorsport and tuning enthusiasts. For those that want to shakedown their cars or find out what Time Attack is all about, due to it’s popularity will be once again organising a pre-season test and practice day at Cadwell Park – the venue for our first round. This will be free of charge for all teams who have confirmed and paid their entry by 28th February 2018, either for a full season or a single round. Those who have not paid can still get on track for a small fee. Public track time sessions will also be available.